No, not Harry Potter. For me the greatest wizard of all time is Professor Dumbledore, with his ability to offer sage advice when needed. Let’s just not mention that he dies before the seventh Harry Potter book. But what sage service desk and IT service management (ITSM) advice would he offer to IT support teams and personnel? If you look in the Mirror of Erised, then seven pieces of wizarding wisdom are magically at hand. While service desk agents are awesome, they're often bogged down by dealing with multiple things at the same time. Hence, the use of tickets (not an email, not a text, not a sticky note, not a Howler) and some form of ticketing management system helps them to track, prioritize, and resolve end-user issues on time. The knowledge of a service desk agent is priceless ... if it’s shared among the team. A really strong knowledge base ensures that every member of the team is equally equipped to handle any end-user issue or support question. Populating the knowledge base as and when incidents are resolved is a good practice for any service desk to follow. A service desk agent can dream of a day with no tickets but alas, it doesn't do well to dwell on your dreams. To realize this dream, the agent must deeply analyze their tickets to fix the issues before they start. An ideal service desk is the one which works to avoid incidents, not just resolve them. Like Olivander says of magic wands, “A ticket chooses its agent.” Okay, this might only be the case with automated ticket assignment. But as with ITIL best practice, the chosen service desk agent is responsible for a ticket until it's closed (plus of course the person or people it affects). So if you want your colleague to take care of one of your tickets in your absence, re-assign it to them or the ticket is forever yours! Most service desks have a so-called favorite agent who is willing to take the support they provide to the next level. And, due to this, they might receive requests for assistance to their personal email account. Sometimes, it can be difficult to prevent end users from emailing you directly but you can definitely still convert it to a ticket. It’s possible for a ticket to lay forgotten inside a service desk tool for a number of reasons (maybe the customer hasn’t responded or the agent has left the team). It then might be a natural response to feel reluctant to follow up or to resolve a ticket that’s as old as Nicolas Flamel. But not resolving a ticket because of its age is not an excuse. It doesn’t matter how long tickets have been open, you ALWAYS need resolve them. As to why there are seven Dumbledore-inspired tips? … “Isn't seven the most powerfully magical number?” What wizard advice would you offer to fellow service desk pros? 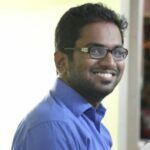 Sanjeev is a Product Evangelist with Freshservice (a Freshworks product), an easy to use ITSM solution based in the cloud. Prior to working with Freshworks, Sanjeev led a team of support engineers in a high-intensity service desk environment at Capgemini. He's also a passionate trainer and enjoys creating his own non-conventional training content that includes memes, comics, and puns. In his free time, Sanjeev can be seen reading, writing, coding or playing; all on his computer. He's currently on a mission to ensure every customer support interaction yields the best possible experience! Thanks, Arun 🙂 Glad you enjoyed it!